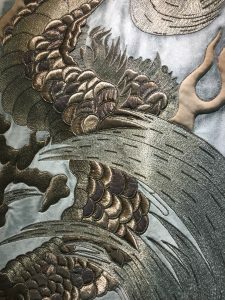 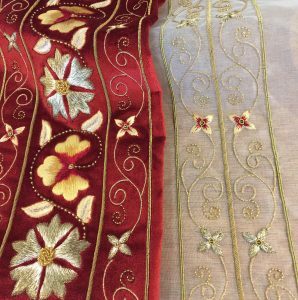 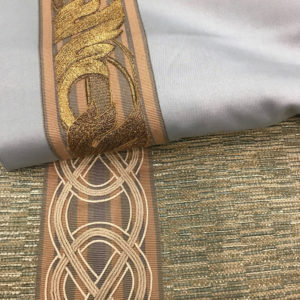 Palestrina London, Turnell and Gigon’s specialist embroidery company, launches a selection of stunning new designs for London Design Week 2018. 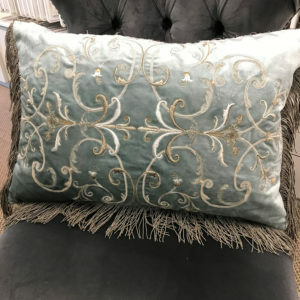 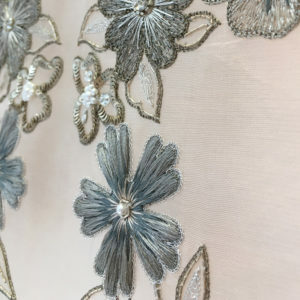 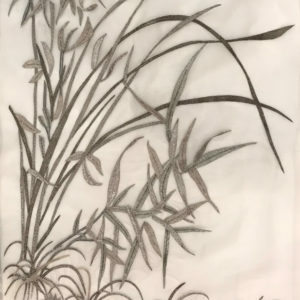 These include some beautifully orchestrated designs on silk organza, almost ethereal in quality, demonstrating the sheer artistry that can be achieved at the highest skill levels of hand embroidery, incorporating shimmering threads and fresh-water seed pearls for extra decadence. 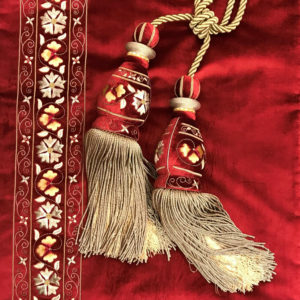 On a more earthly level there are new hand embroidered tapes, one in a design of scrolling leaves and the other in a configured rope pattern. 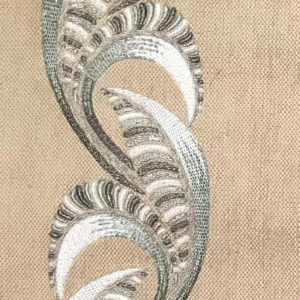 Further to this Palestrina London has added its magic to Neisha Crosland’s iconic wallpaper design - Banana leaf - now making it’s debut as a contemporary hand embroidered leading edge. 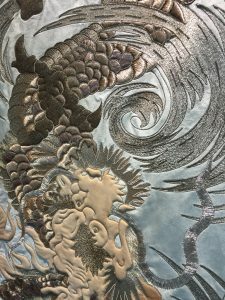 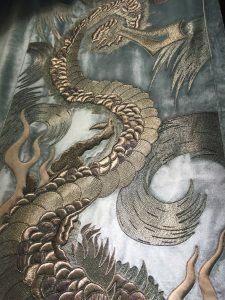 Palestrina London launches at London Design Week with the help of "Chamarande" the dragon, a spectacular 3 metre high masterpiece of the finest quality hand embroidery. 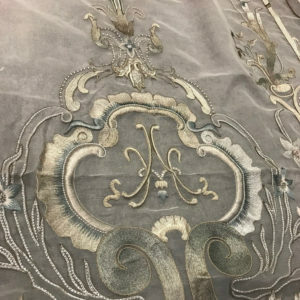 Chamarande can be seen in all its glory in the window of Turnell and Gigon's showroom in the London Design Centre.